What would Facebook look like if it had been created by medical professionals, meant for use by doctors and medical students? 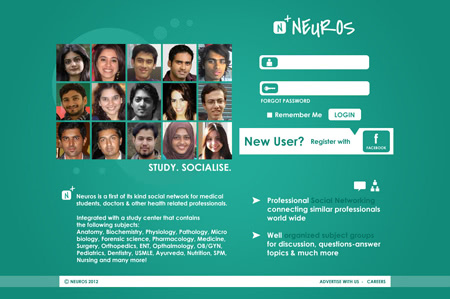 Maybe just like Neuros, a social network that combines casual interaction, study aides, and medical knowledge sharing. Just please try to hold off on posting about the next successful procedure until the patient is out of the operating room. Sound fair, Doc? Co-founder of Neuros, Dr. Waiz Wasey, knows firsthand that medical students are hard pressed to find time away from the books. While students need lots of information, they have to stay quasi-human, too. Neuros provides a platform form swapping health tips, meeting colleagues, and sharing those stories from anatomy class that beg to be told but might not make for appropriate dinner banter otherwise. Dr.Wasey graciously put on the scrubs to give KillerStartups a look at the innards of his now live project and his entrepreneurial vision. We wanted to name our network with a medical term. 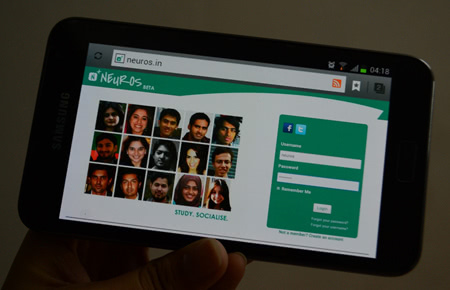 Neuros is derived from Neurons, which we thought would be apt as a lot of neurons are involved in socializing and studying. Check how much we have progressed since yesterday. And then have a team meeting to discuss our goals for the day. In the beginning, it was just me and my friend & partner, Ravi. Now we have around 6 people working for us and a handful of volunteers. The start is always the difficult part. We were criticized about the idea and support was lacking. But once we launched Neuros, that attitude changed. People realized this was something new, fresh & interesting. I haven’t really felt frustrated so far. The team I work with is really efficient, and they understand my ideas and views. There are times when we don’t meet our goals, but there are also times when we overachieve. I picture it as the largest hangout of medical students & doctors, and the largest hub of medical knowledge. And if things go as planned, we might have our own line of illustrated study aids and text books. The aspiration to learn by medical students is what inspires me. I just want to give them a better platform, where they can engage themselves in what the world calls 2.0 style. Self-funding. 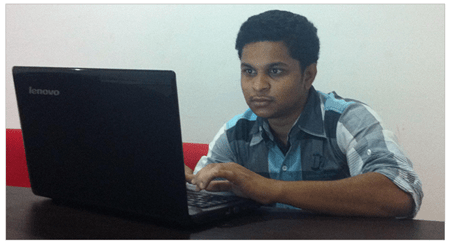 Whatever me & Ravi make from our other ventures, we invest a part of it here. “Big things have small beginnings.” If you believe in your dream, make it happen. Support someone financially who has ideas and is as enthusiastic as me. I would say I have done well so far, but there is always room for improvement. Facebook – it’s important to stay in touch with friends and family. In a way, they are a great support and source of inspiration. Instagram – sometimes pictures describe what words cannot. I prefer fish lol. They are beautiful, quiet and easier to maintain. The idea that we are not just helping med students & doctors around the world to socialize, but giving them “relevant” medical topics to talk about and providing them with a platform where they not only benefit themselves but help one another. 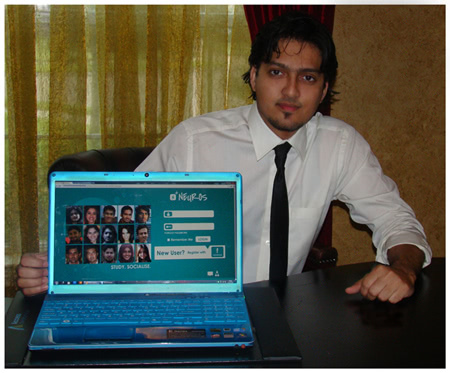 I would prefer Facebook, but they can also get in touch with me through my personal website, DrWaiz. Who are the people that you would like to thank? 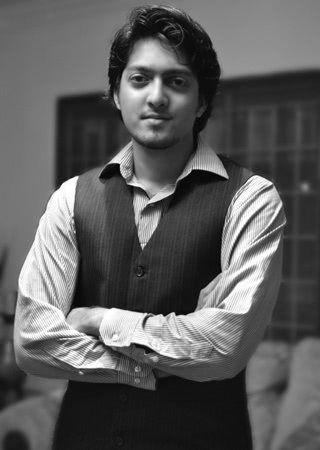 Ravi, who has understood my views & ideas – and helped bring them to life. Ravi C. with whom I went to med school. And my sisters Nida & Neha, who have been a good source of support all the way, and still are.